FRANKFORT, Ky. (April 11, 2019) – Gov. 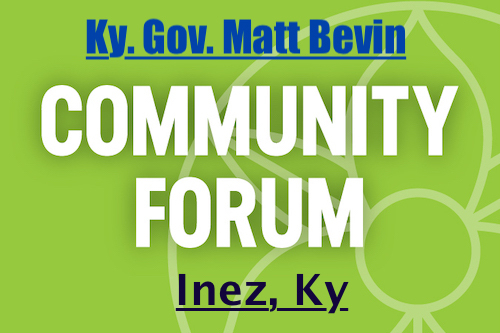 Matt Bevin will visit Inez on Saturday for a community dialogue about economic development and other key issues and initiatives impacting the Commonwealth. JOHN BUTCH PRESTON: Affection or Titillation? I hope he brings some water.